I have recently decamped from Edinburgh to Perthshire, to house-sit for my parents and write Caligula’s Blog in idyllic rural surroundings at temperatures of -6. The main reason my folks need someone around is because they keep chickens. Poultry cannot be left to their own devices, as they are deeply stupid. So here I am, working my way through the freezer, and popping outside every ten minutes to see whether they’ve gone round the front of the house so I can steal their eggs like an ornithological Fagin. When I do this, I’m supposed to leave replacement eggs so they don’t get suspicious of the vanishing act and go find somewhere else to lay. But sometimes, they come round and catch me red handed! Awkward. More often though, they haven’t gone round the front at all, so I step out of the door and they cluster round me, cooing ineffectually, whilst I perform a circuit of the front garden, hands in pockets, nonchalance personified. 9.30ish – Wake up and free the chickens from the coop. 10.30ish – Settle down to write maybe 1000 words of Caligula’s Blog. 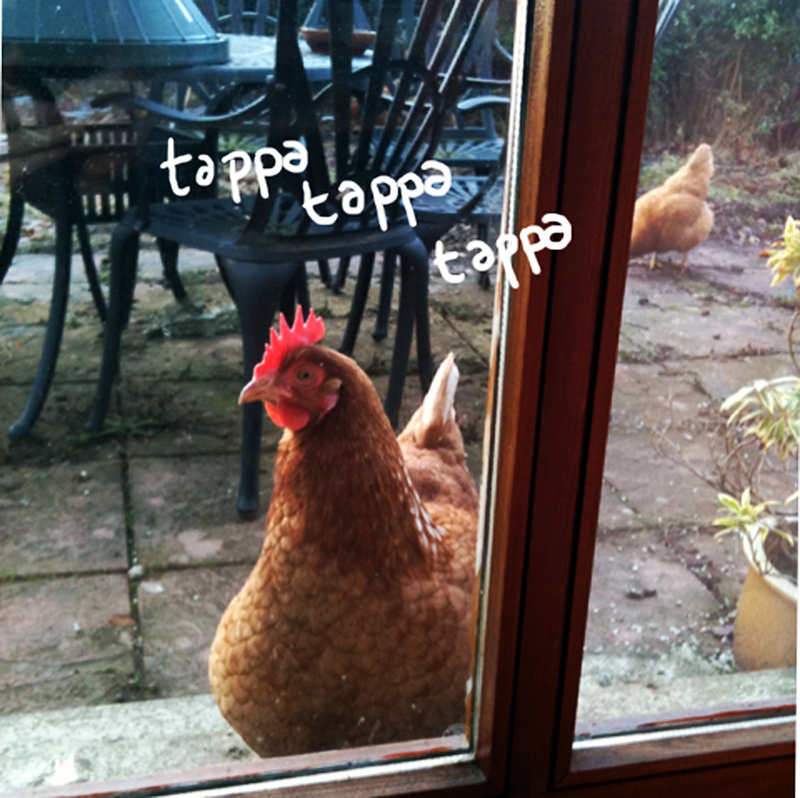 11.30ish – Go outside on egg watch. 11.40ish – Come back inside, eggless. Check email, facebook, twitter. 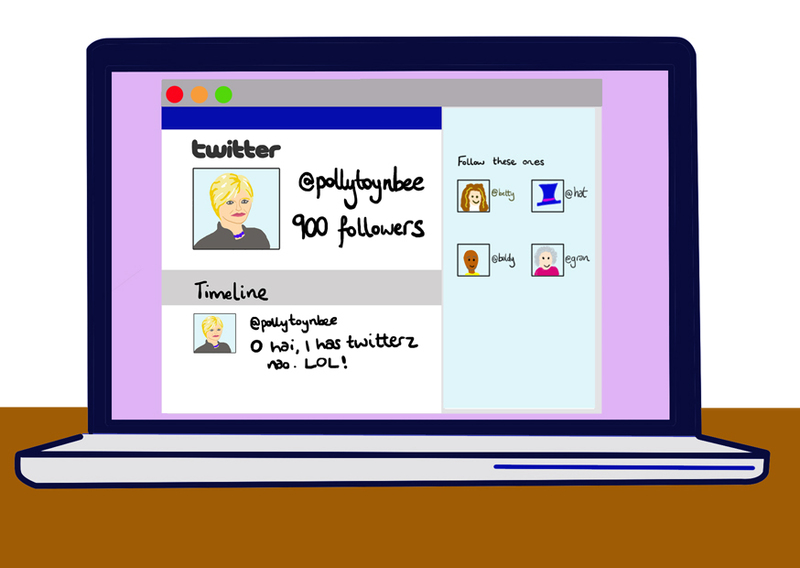 12.30 – Realise I’ve been faffing about on the net for ages. Go and make a coffee. 12.35 – Looking outside I can see two of the three chickens out back. One is digging a hole. Surely this is enough of a distraction for me to carry out operation egg theft?! 12.36 – Other chicken still on guard duty. Dammit. 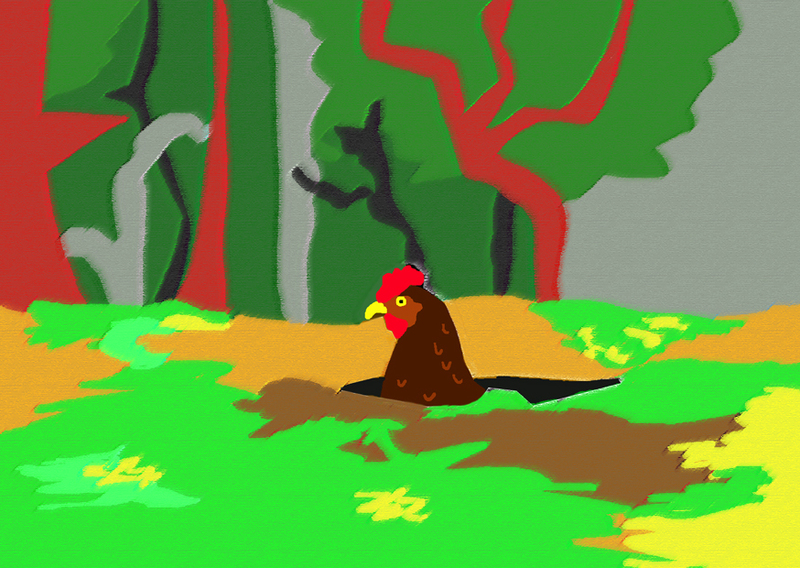 12.40 – Digger chicken is sitting in the hole it has just made, not doing much. Looks happy enough though. 12.45 – Decide I must do the dishes. NOW! 13.00 – I should shower. 13.30 – Go to co-op for milk. 14.20 – Hear knocking at patio door and am faintly freaked out as I would have seen a visitor go by one of the windows… Turns out to be fowl play. 14.30 – Settle to write another 1000 words. 15.30ish – Egg watch success! Ali: 1, Chicken: 0! 16.40ish – Chickens go to bed. Shut them away so nothing can eat them. 17.00 – Drive to Perth to collect boyfriend from grandparents. 21.30 – Return and watch many episodes of South Park. 23.30 – Discover Dragon Wars on SyFy. It’s pretty bad, so we fall asleep on the couch.